The night before Thanksgiving, the GOP’s Medicaid mess turned into a scandal. A judge threw out the WellCare contract for Medicaid privatization because Branstad and his GOP friends broke the rules. The judge also said WellCare failed to disclose a $137.5 million fraud settlement and that four of its executives were convicted for making false statements or fraud. With $4 billion in taxpayer money at stake, the insider dealings are fit for a DC television drama. 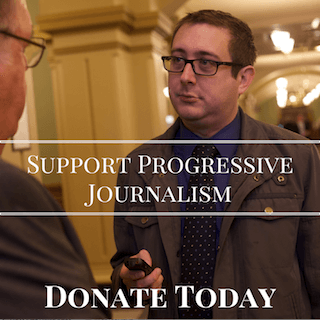 The judge found that former GOP lawmaker turned WellCare lobbyist Chris Rants and Branstad’s Chief of Staff Michael Bousselot broke the rules with improper communication. It happened during a “black out” period when state officials and private companies were not to be discussing Medicaid privatization. The judge also said it was “troublesome” that another former GOP lawmaker – Renee Schulte — worked for Branstad inside the Dept. of Human Services and then went to work for WellCare. She switched jobs the same week her boss at DHS opened the door to privatizing Medicaid. Schulte even admitted she used personal email to break the rules and contact her friend, Iowa Medicaid Director Mikki Stier, during the same black out period. Stier was one of the key state officials who decided which companies received state contracts. Another reason the judge threw out the Medicaid contract was because WellCare initially failed to disclose a $137.5 million settlement for Medicaid fraud that reached nine different states. They also forgot to mention four executives were convicted of making false statements or health care fraud. 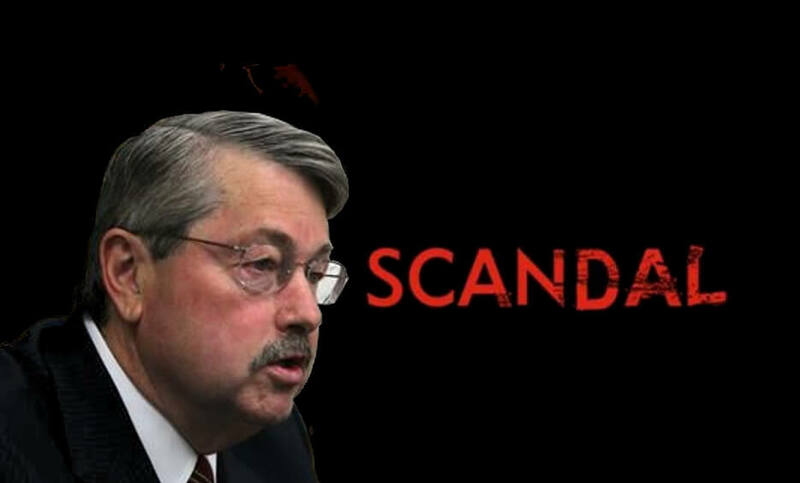 It turns out Branstad officials even knew about the WellCare fraud, but didn’t give all the information to the committee helping select the companies that would receive contracts. That put WellCare in a better position to win one of the contracts. Essentially, Branstad and his GOP friends cheated the system to make sure WellCare landed one of the Medicaid contracts worth around $1 billion. Even though a non-partisan judge reversed the WellCare contract, it’s likely Branstad will just ignore the ruling and award the contract to his GOP friends at WellCare. That’s because he rigged the system from the beginning and made sure his own appointee, Dept. of Administrative Services Director Janet Phipps, can ignore the judge’s decision and do whatever Branstad wants. To be fair, Director Phipps faces a no win situation here. If Phipps follows the judge’s order and throws out the WellCare contract, she’ll anger her boss and his Chief of Staff already implicated in the scandal. If Phipps ignores the judge’s order, she’ll be responsible for letting Branstad and his friends cheat the system in order to win one of the largest contracts in state history. So far, Republican lawmakers at the State Capitol refuse to hold the Governor accountable or ask any tough questions about Medicaid privatization. Republicans on one committee say another committee should deal with it. Republicans on the other committee say they can’t do anything about it. It’s a game typically seen in Washington, DC, not our State Capitol. Unfortunately, this scandal is just the latest chapter in the GOP’s Medicaid mess that will put health care for over 565,000 seniors, expecting moms, and Iowans with chronic diseases or disabilities at risk starting January 1. Iowa hospitals are suing the Governor to stop his privatization plan. Health care providers don’t know what services they will be able to provide or how much they will receive for services. Iowans are being told a private company will manage their health care without knowing if they can get the same care they get now or even see their own doctor. 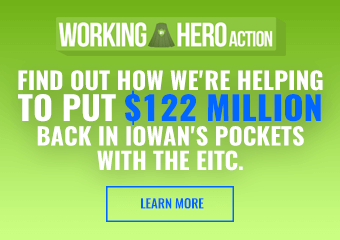 Branstad can’t even prove his privatization scheme will save the state any money at all. While the GOP’s Medicaid mess is playing out like a DC drama, it has real world consequences for 565,000 Iowans. The people in charge of keeping health care totally private and corrupt are the Republicans at all levels of government. BUT, they have gotten plenty of help from the Dems who took Romneycare and turned it into Obamacare. If you want real universal health care, you need to vote for Bernie Sanders and anyone else who wants to get rid of for-profit medicine. I attended a meeting with DHS concerning this in Waukee on the 24th of November. Actually I tried to attend as did many others who had questions, it seems the informational meeting had been canceled but no one was informed. When asked if there was going to be another meeting in the Des Moines area we were told no because there had already had been one in this area. No one at the event had heard about or known about another meeting in Des Moines. Some people had driven 90 or more miles to attend. This seems to be just another part of the mess that is privatization of Medicaid in Iowa. Medicaid was working very well for so many of us. We were finally getting quality, accessible medical care in our own area. If this new program goes through and goes wrong, many of us are at risk of losing our lives…plain and simple! The most vulnerable in our state have enough to deal with, just getting through every day, without this new threat to navigate through. How can we pick a plan without any details? None of us want to be sick and reliant on assistance, this is not our choice. I am so sick of what Branstad has done to the stte of iowa. fires 10 nursing home inspectors, makes the standard of heath care 46th in the nation. 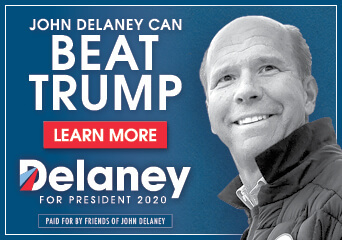 gives big corporations a pass on fines for substandard care as he feels they are too punitive, closes Abby center, options, Clarinda, mountplesant, rigs the regents and his people vote for a businessman not qualified to be head of the university. now medicaid, next social security, and all these creepy people that voted for this piece of crap, will be happy until it is their turn to deal with the gutting of our state. when you privatize healthcare the insurance companies are still reimbursed with federal funds only taking a bigger share for themselves.